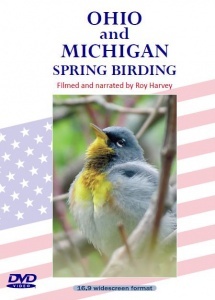 This 2 disc DVD set is a video diary of a birding trip to Ohio and Michigan in the period May 6 – 18 2015. Arrangements were by Ribble Bird Tours of Blackpool and the tour leader was Stuart Meredith. The group flew from Manchester to Cleveland and then spent a total of 9 nights at Toledo in Ohio, and 3 nights at Tawas City in Michigan. Much of the time was spent at the migration hotspot of Magee Marsh where warblers were showing down to a few feet. 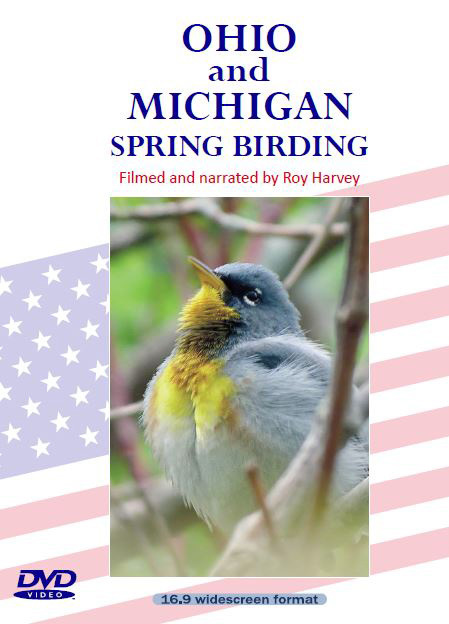 The trip to Michigan had Kirtland’s Warbler as the prime target.